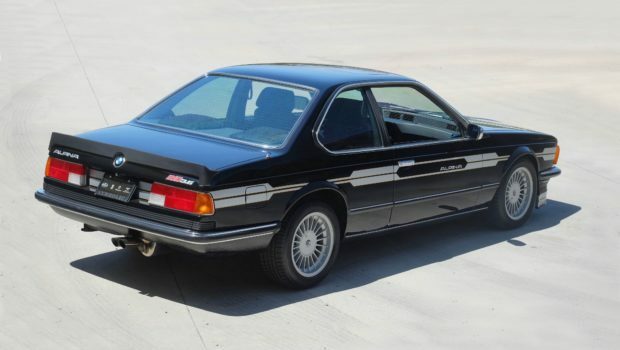 Alpina BMWs are becoming increasingly rare and valuable, topping the price of standard Bimmers by a long shot. Some examples are approaching six figures, exploding the market and setting a new standard for the tuned German cars. 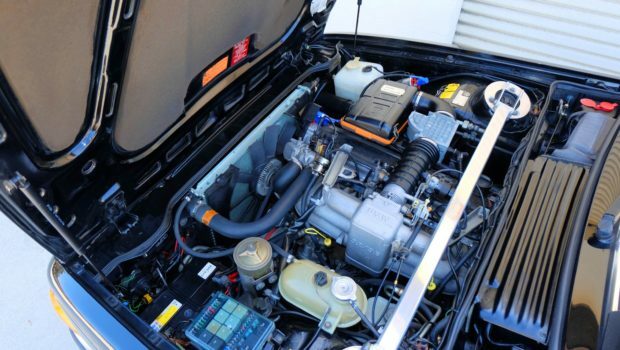 The B10 3.5 is based on a 6 Series platform that's heavily modified in every department, from the suspension and chassis to the inline-six engine. 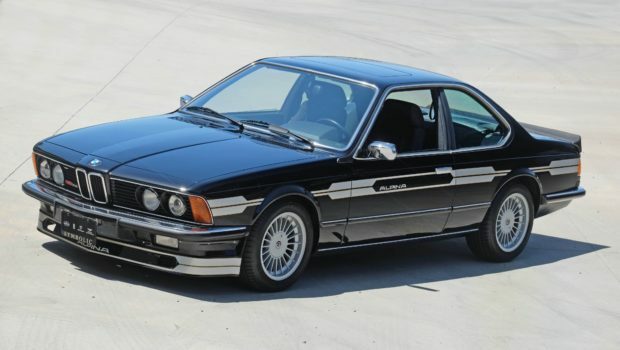 It replaced the outgoing B9, and transformed the 635csi into a street machine that beat up supercars of the era. 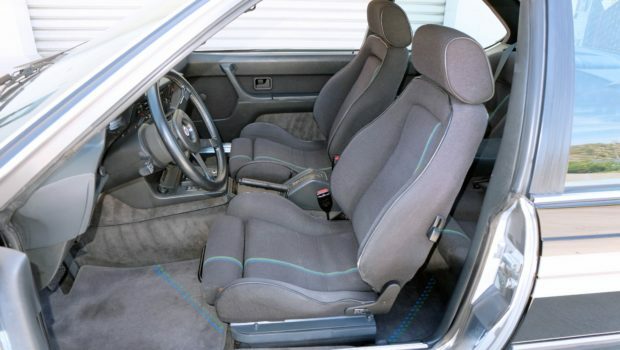 While most came with a traditional stick, a few were fitted with a Getrag automatic—this car being one of them. The ad claims it to be the only example with the black-over-graphite scheme paired with the auto trans, upping its rarity in not so popular fashion. Despite that, it still features the fiddled-with 3.5-liter straight-six that makes the B10 a star. It produced 261 horsepower when new, a significant hike from 635csi trim. It's only traveled 34,850 miles, meaning it's a well preserved piece that's got plenty of life left. You'd be challenged to find another B10 as clean as this, especially when you consider that there were only 44 of them built in 1984. Its like-new condition makes this car stand out against the rest, taking you back to the year it was built—an attribute that few autos can still claim. It's believed to retain all of its factory body panels from front to rear, showing no signs of wreckage or accidents. 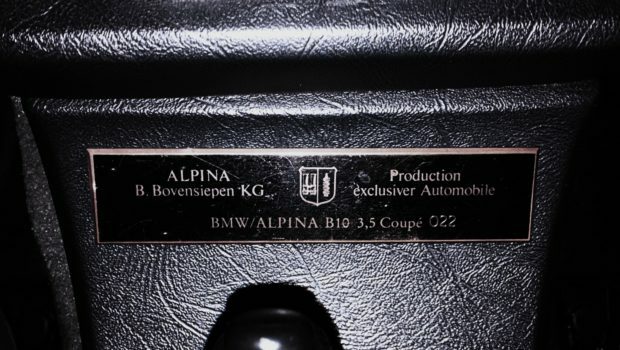 A plaque mounted on the center console identifies the car as a genuine Alpina that was acquired new, with the last two digits signifying it was the 22nd example built. Loads of documents support this B10's mechanical and aesthetic soundness, promising a genuine buy for the next owner. Is it still worth the scratch with an automatic transmission? That's for you to decide. Let us know what you think in the comments or here on The Drive's Facebook page. This could've ended a lot worse. This M3 allegedly has a top speed of 205 mph.